I know, I know. 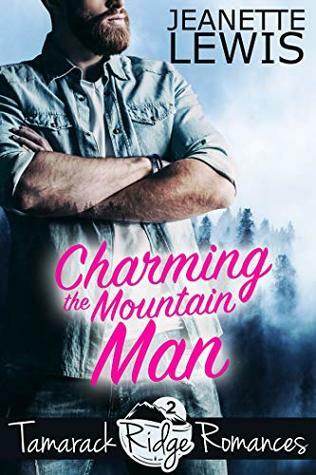 Charming the Mountain Man is not on my book list for this read-a-thon. But I couldn't sleep last night and it just loaded on my kindle from the 99 cent sale the other day! It was awesome, and I'm definitely going to check out the other books in the series! 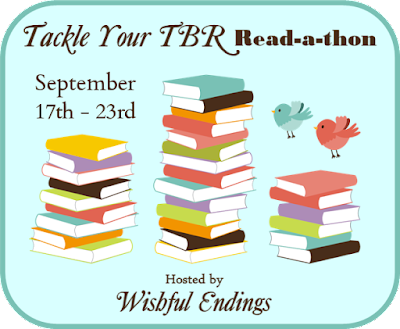 I also wrote book reviews for An Inconvenient Marriage by Regina Jennings, Finding Us by Heather B. Moore, and The Echo Ridge Collection by Lucy McConnell. Almost caught up! Ever since her twin became a singing sensation, Sky Hampton has struggled to be appreciated for who she is—apart from her sister. She wards off Aspen’s fans, who beg for autographs and selfies everywhere Sky goes. She can’t even find a guy who likes her for her. Sky flees to the small coastal town of Indigo Bay in hopes of blending in and building her blossoming career. Jace Fisher is the textbook definition of the strong silent type—nobody can break through his tough exterior. He has suffered more than his fair share of tragedies, and to protect his shattered heart, he pushes everyone away. Jace spends his days fixing the Indigo Bay cottages, and his nights… nobody really knows. He keeps to himself. When Jace shows up to fix Sky’s AC, he barely notices her and she’s distracted with settling in. It takes an emergency situation to get them talking, and when they do, the two find they have more in common than first appeared. As their attraction grows, defenses soar. Will they be able to risk love when they’ve both been burned in the past? Ginger McGinty hates liars. And she just married a spy. Bridal shop owner Ginger McGinty excels at matchmaking unless it’s for herself. That is, until she meets the dreamy Aussie who helps her get into an event meant for engaged couples. Logan Stone is sweet, caring, thoughtful and fun—everything she desires in a man. But it turns out, her new fake fiancé could use a bit more than just a pretend engagement to get him into parties—he needs a quick marriage keep him in the country so he can be with his adopted special needs daughter. With a marriage of convenience pro-con list longer than the average wedding veil, Ginger puts her faith in romance and offers Logan her hand in return for one thing—no lies. But little does she know, almost everything she knows about her new husband is based on a lie. Everything except his kisses and the way he accidentally spills his soul whenever they meet. And that’s quickly becoming a problem for Logan Stone who depends on distance and deceit to keep civilians such as Ginger safe from his enemy’s clutches. Will the two find love in their marriage of convenience, or will everything break apart when the truth rises to the surface, shattering everything, including their trust? Sometimes life has a way of teaching lessons whether you’re ready to learn them or not… The last place on earth Will Layton wants to be is Indigo Bay, but his younger sister needs him and he’s never been able to say no to her. But she left out a few details… like their father staying with her and the girl who dumped him years ago is living right next door. The last person Dr. Ashley Harden thought she’d see in Indigo Bay is Will Layton, but he’s back in town and just as irresistible as when they were young. Seeing Will again is a complication that isn’t on her carefully mapped out life plan. In spite of Ashley’s best intentions, she starts falling for Will again, but nothing has changed. She’s still focused on getting the townspeople to accept her and see her as more than the girl from the wrong side of town, while Will is determined to guard his heart at any cost. Not the easiest road to true love… especially when secrets from the past are revealed and history threatens to repeat itself. Eva Malone was very young when her mother forced the family to join a violent doomsday cult, but she remembers a little about how normal life used to be. As a young woman, she escapes the cult and relocates to Indigo Bay, South Carolina to pursue her dream of peaceful anonymity. After several tumultuous years as a policeman in Atlanta, Ben Andrews has had enough. He returns home to Indigo Bay and joins the Indigo Bay PD, where the most exciting part of the job is getting a kitten out of a tree or rescuing tourists who lose their keys at the beach. Eva and Ben are immediately drawn to each other. But as the prophesied date of the apocalypse draws near and the cult steps up its efforts to find her, Eva realizes she can’t maintain her sweet illusion forever. Melanie Dixon never thought she would find herself divorced, pregnant, and living back with her parents in Indigo Bay. Not one to let misfortune get the best of her, she picks up the broken pieces of her life and bit by bit puts them back together. She’s determined to go it alone, but her loving and equally determined family and friends have another idea. Enter Declan Shaw, the boy next door from long ago. The boy she wasn’t quite ready to commit forever to at eighteen. Back in Indigo Bay due to a recent job promotion, Declan sees this as a second chance to reunite with the girl who has owned his heart since the day they met in their junior year of high school. But Melanie is a tougher sell on the idea than he thought she would be. Now it’s up to him to prove to Melanie that she can trust him with her heart and that he’s the man she and her baby deserve. Will the regret and hurt of the past win out? Or will love prevail? On her last tank of gas Elaine Mathews drives South. Spontaneity had never been her strength, but there was something about being publicly fired that had a way of changing things. An empty bank account, broken heart, and enough humiliation to last a life time was all Elaine could claim as her own. Her car choked to a stop in the quiet beach town of Indigo Bay and all she could do was sit on the curb and wait for the sun to set on her misery. Davis Mills has a routine. Wake. Work. Eat. Sleep. Repeat. It hadn’t always been that way. He’d left indigo bay once and returned a broken man. Now he kept his dreams small and his schedule tight. If there was no room in his life for anything new then he’d never repeat his mistakes. When fate has them, quite literally colliding Elaine and Davis are faced with an important question. Can you live a full life if you never take a risk? Or is life made up of every mistake, miracle and chance that comes with being in love? $100 Amazon Gift Card or Paypal Cash Giveaway Ends 7/17/17 Open only to those who can legally enter, receive and use an Amazon.com Gift Code or Paypal Cash. Winning Entry will be verified prior to prize being awarded. No purchase necessary. You must be 18 or older to enter or have your parent enter for you. The winner will be chosen by rafflecopter and announced here as well as emailed and will have 48 hours to respond or a new winner will be chosen. This giveaway is in no way associated with Facebook, Twitter, Rafflecopter or any other entity unless otherwise specified. The number of eligible entries received determines the odds of winning. Giveaway was organized by Kathy from I Am A Reader and sponsored by the author. VOID WHERE PROHIBITED BY LAW.